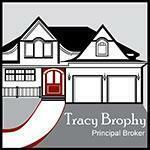 Ensuring each and every home buying and selling experience is successful. Not only does each client have his or her own personality but so does each transaction. I have the insight to adapt to the different nuances of both, ensuring that each transaction stays on track & obstacles are met head on. My dedication, knowledge and determination help to keep the stress and anxiety to a minimum while maximizing the excitement, enthusiasm and success of each experience. I am committed to being knowledgeable in my field and continue to stay abreast of the ever changing Real Estate market as well as those markets that may affect the success of your home purchase or sale. I surround myself with an experienced team of professionals to ensure that each and every transaction is successful from start to finish. I am committed to excellence and to providing professional, result-driven service whether you are a first timer or have experience under your Real Estate belt. My dedication to the highest ethical standards is the foundation from which I continually build both my personal and business relationships; so you can feel confident that I will have that same integrity while assisting you in buying or selling your home. As is often said, real estate is about location, location, location. I have extensive knowledge of the Portland, OR area and can help you find the right home for you or the right buyer for your home.